The force will definitely be with us this week. 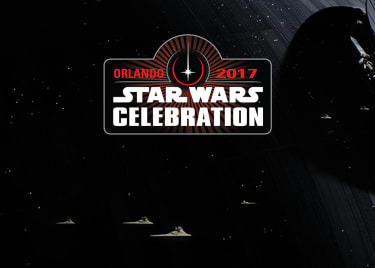 We’re going to Star Wars Celebration in Orlando! If you don’t know, Star Wars Celebration is the ultimate fan experience focused on a galaxy far, far away. Can’t make it? We’ve got you covered. We will be giving you behind-the-scenes access all weekend long. 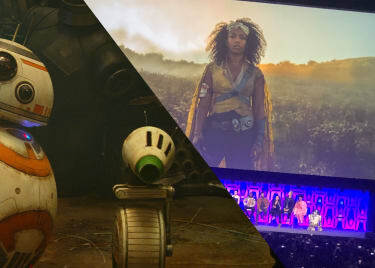 Star Wars Celebration is always special, but it’s extra special this year because the 1977 film that started it all is celebrating its 40th anniversary. To kick the festivities off on Thursday, there will be a 40th anniversary tribute featuring some of the saga’s brightest stars. What better way to start off the weekend extravaganza? There also happens to be this little film coming out later this year that you may have heard of called The Last Jedi. Who are we kidding? The Last Jedi is bound to be one of the biggest blockbusters of 2017, & Star Wars Celebration will give us our first glimpse of it. Everything is kept well under wraps for this Friday panel, but we expect plenty of fantastic surprises. 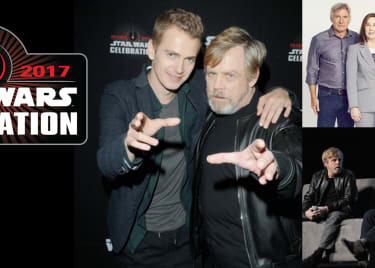 There will be even more big events happening all weekend long, including a touching tribute to Carrie Fisher hosted by Mark Hamill. He will be sharing his memories of Fisher’s talent, humor, & enduring legacy to the Star Wars galaxy. Whether you’re a Star Wars fanatic or just a casual fan, we want to share this exciting weekend with you. Follow along with us on Facebook, Twitter, Instagram, & Snapchat for exclusive updates & highlights. And may the force be with you.